The only quartet to be inducted into Gramophone’s Hall of Fame, the Takács String Quartet has won world-wide acclaim for their passionate, committed performances. 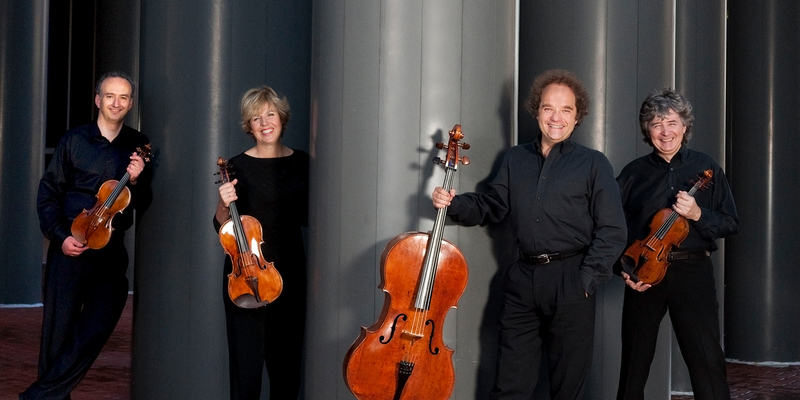 Hear why the Financial Times writes, “Even in the most fiendish repertoire these players show no fear, injecting the music with a heady sense of freedom,” when they return to Meany Center with a program that spans the centuries, including Mendelssohn’s expressive String Quintet No. 2 with violist Erika Eckert. CARL VINE: String Quartet No. 6, "Child's Play"
The Takács Quartet, now entering its forty-second season, is renowned for the vitality of its interpretations. The New York Times recently lauded the ensemble for “revealing the familiar as unfamiliar, making the most traditional of works feel radical once more”, and the Financial Times described a recent concert at the Wigmore Hall: “Even in the most fiendish repertoire these players show no fear, injecting the music with a heady sense of freedom. At the same time, though, there is an uncompromising attention to detail: neither a note nor a bow-hair is out of place.” The Takács became the first string quartet to win the Wigmore Hall Medal in May, 2014. The Medal, inaugurated in 2007, recognizes major international artists who have a strong association with the Hall. Recipients so far include Andras Schiff, Thomas Quasthoff, Menachem Pressler and Dame Felicity Lott. 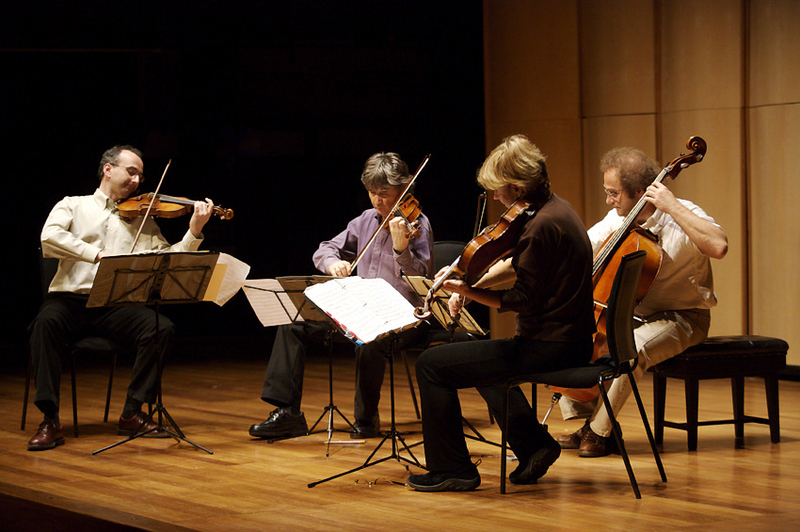 Appointed in 2012 as the first-ever Associate Artists at Wigmore, the Takács present six concerts every season there. Other European engagements in 2016-17 include Florence, Milan, Geneva, Amsterdam, and Paris. In September 2016 they appeared in Singapore, Japan and Hong Kong, and in August 2017 will visit Australia and NZ. A recent tour to South America included concerts in Chile and Brazil. 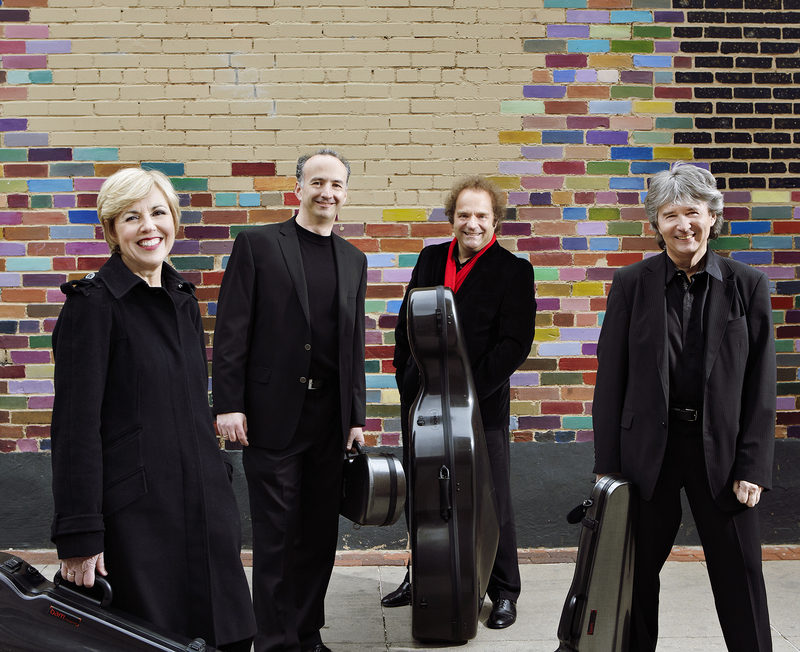 The Takacs Quartet always shows that there is, and must be, room for insightful, intense performances of major works. The critically acclaimed Takács Quartet performs a complete Bartók string quartet cycle-a musical touchstone of the 20th century, composed over a span of three decades.